Selecting the best professional grade, built-in BBQ grill or grill head – like we like to call it – for your backyard can be a daunting task, even for a professional chef. Mainly, because each luxury brand possess a set a features and complimentary accessories that offer different experiences. It’s like choosing the right luxury car that best matches your personality, style and budget. When you see it and test it, you’ll know it’s the one. The same occurs with high-end BBQ grills. Depending on your cooking style (grilling, smoking, barbecuing, etc.) or the variety of foods you’d like to cook on your grill, each brand offers practical features you might find more appealing over others. The fact of the matter is that most brands of luxury BBQ grills, such as Alfresco, Blaze, DCS, Delta Heat, PGS, TwinEagles, Viking and Vintage have features in common. 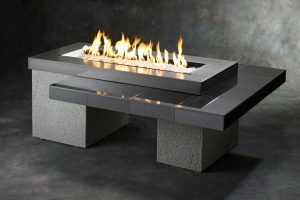 Each one offers premium grade stainless steel construction, some kind of anti-flare system and long lasting warranties. Additionally, many of these high end grills versatile cooking devices. You can rotisserie, bake, smoke, even roast; expanding your outdoor cooking opportunities more than ever before. Let’s highlight some of those specific features that will help you sort our which BBQ grill is best for you. The Alfresco line of residential outdoor luxury grills and accessories is restaurant inspired and uses the same manufacturing methodologies used in their commercial restaurant equipment. They are sturdy. Built to last. Alfresco offers a wide variety of accessories that complement their premium line of grills, including pizza ovens and refrigeration. Alfresco delivers evenly distributed heat to 100% of the grilling surface using pyramid shaped ceramic briquettes. The U- shaped burners deliver 27,500 BTUs each and are made from stainless steel and titanium. You’ll never have to worry about burner malfunctions, they come with a lifetime warranty. The infrared Sear Zone™ burner generates 27,500 BTUs and reaches 1500° F in as little as four minutes. The cooking grates are 3/8 inch round stainless steel rods with a special non-stick polished finish. The adjustable food warming rack can still be used while the rotisserie is engaged. The rack can also convenient for holding or cooking above the grill surface. To clean the briquettes, simply flip the tray over, fire up the burners to high and close the lid. The LED control panel lighting beams a warm amber light exactly where you need it. You will also find integrated high-intensity halogen work lights for convenient night cooking. The lights are slightly tilted to maximize lighting coverage on the surface of the grill. The lens can be removed without tools for easy cleaning and to replace light bulbs. The rotisserie motor is integrated into the grill head and out of sight and ready to go. You get 120 lb. of whisper quiet torque force to turn any food item no matter how big. The integrated wood smoker comes with a dedicated 5,000 BTU stainless steel burner. The drawer holds large chunks of wood and is cold smoke capable. Easy open and close hood with hidden non-corrosive stainless steel torsion system that lasts many years. Available in 56″, 42″, 36″ and 30″ models. The nickel-plated control knobs are sleek looking and easy to turn. The stainless steel push button ignition, lighting and rotisserie controls are integrated into the front of the panel. The heat protected wiring means that you’ll never have to worry about shorts or faults due to melted wire casings. Each grill is built with a special air circulation flow that keep the front and top of the control panel safely cool to the touch. The Twin Eagles line of premium grills makes use of stylish geometric designs that blend in perfectly with both classic and contemporary architecture. 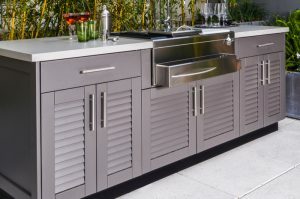 It’s extended line of accessories and refrigeration allows for a complete custom outdoor kitchen setup. Twin Eagles grills combine both direct heat from strategically placed ports and channels with radiant heat emanating from ceramic briquettes to distribute heat to the grill surface evenly and quickly. Zone dividers allow each 25,000 BTU U-shaped burner, to heat each zone to different temperatures or cook with only one burner. The infrared sear zone burner (standard on 54″ grill) yields 25,000 BTUs of direct heat. The 3/8 inch hexagonal stainless steel grates enables more surface to food contact for even cooking and restaurant style sear marks. The variable position warming rack can be easily removed when rotisserie is in use. Decorative blue lights illuminate the control knobs. The interior halogen lights come with hood activated light switch, perfect for night time cooking. All grills are available with an infrared rear rotisserie burner. The two position system ensures proper distance to the food item. The rotisserie motor has 100 lb. turning capacity. The sealed smoker box holds liquid for soaking your favorite woodchip. Concealed heavy duty extension springs allow for easy opening and closing of the hood. Available in 54″, 42″, 36″ and 30″ models. Each burner is constructed with 14 gauge, 304 stainless steel and comes with a lifetime warranty. Decorative blue LED light illuminate the knobs even when the grill is not in use. The electric hot surface ignitors operate by pushing in the burner or rotisserie control knob. Each grill is built with drafting vents that draw air from the bottom of the firebox, keeping the heat above the burners. 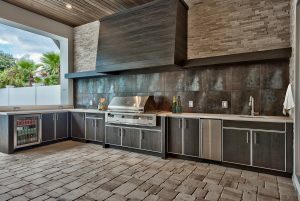 PGS Grills offer outstanding performance and are available with all the essential accessories you need to create an impressive small to medium size outdoor kitchen or island, including side burners, storage and beverage center. The PGS Grills feature all stainless steel cooking grids which come in variably spaced grill rods (Vari Grid). This unique feature allows you to choose your amount of surface to food contact or the amount of direct heat onto your food or cookware. The extra-large warming racks (up to 355 square inches) provide ample auxiliary cooking or warming space. Up to 960 square inches of cooking space heated by stainless steel burners that induce 25,000 BTUs each over porcelain ceramic rock for minimal flare-up and even heat distribution. A 14,000 BTU infrared burner for perfect rotisserie meals. The heavy duty motor turns up to a 15 pound turkey or roast. PGS Grills offers the convenience of a portable beverage cart. This is a unique accessory not found with other brands. Also, PGS grills are designed to be dropped right into a masonry enclosure without additional angle brackets or mounting kits. Available in 30″, 39″, 51″ models. PGS cooking grids are crafted of commercial-quality, grade 304 stainless steel. The exclusive, continuous spark “Sure Start” ignition system lights the grill quickly, easily and safely. One of the best, most comprehensive warranties on the market, on all components includes outstanding customer services and support. 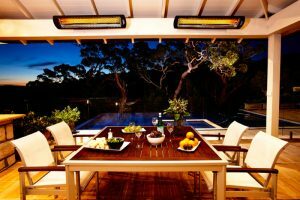 DCS Outdoor products are engineered to deliver the functionality and power demanded by a professional chef. The hand-finished craftsmanship offers the quality you look for in your premium outdoor kitchen. DCS outdoor grills offers all the great features needed for a complete outdoor kitchen including heated drawers, rotisserie, storage space, double sided cast stainless steel grilling grates, and a patented grease system that keeps everything clean, saving you time and effort. DCS grills uses ceramic rods to provide intense, yet even heat to the cooking surface. The U-shape stainless steel burners are rated 25,000 BTUs each. Optionally, you can choose their innovative Infrared Emitter which transforms the heat from the burner into natural infrared heat. Heat is directed upwards through a heat shield, maximizing heating efficiency. The dedicated rotisserie burner provided controlled heating up to 18,000 BTUs and the rotisserie motor can accommodate a 50 pound load. The cast stainless steel grill grates on the DCS grills are double sided featuring a W-shape on one side for perfect sear marks and a rounded profile on the other, perfect for delicate foods. The patented Grease Management System™ reduces flare-ups by directing grease towards the conveniently located drip pan on a slide out tray for easy cleaning. The rotisserie assembly comes with an integrated light that illuminates the entire grilling surface. DCS grills are available in 30″, 36″ and 48″ models. The sturdy, quality frame with elegant design is constructed from 304 grade stainless steel. Available in both liquid and propane gas. The Delta Heat premium line of grills offers complementary accessories that bring your backyard kitchen to life. Delta Heat brings together all the features and functions you look for in a premium grill, in style. U-shape 18 gauge stainless steel burners. The integrated rotisserie (some models) come with a stainless steel heave duty motor with 40 pound capacity. Nighttime grilling is easy with the integrated internal halogen light. Decorative blue lights adorn the control panel knobs, even when not in use. Every Delta Heat grill hood is double lined, keeping the server cool to the touch. The 9v electronic ignition is reliable and effective. Body constructed from 304 stainless steel. The Delta Heat is definitely built to last. The awesome control panels mean that it looks great in your outdoor kitchen when you’re entertaining your family or your friends from work. It doesn’t really matter, because your new home kitchen can do it all- so you can relax and enjoy barbecuing like it should be. Viking outdoor grills offers some of the largest commercial grade grills for residential use. Viking’s wide range of accessories include vents, refrigeration and cabinets for both your indoor and outdoor kitchens. The ceramic briquettes heat distribution system provides even heat distribution. The 25,000 BTU 304 stainless steel U-shaped burners provides intense heat and superior corrosion resistance. Cook meat perfectly with the 15,000 BTU Gourmet-Glo™ Infrared Rotisserie Burner with a 55 lbs. maximum capacity on the rotisserie rod. With 950 sq. in. of grilling space, the Viking grills are among the largest BBQ grills. The white briquettes grates are design to self-clean by flipping them over. the EasyLift™ Canopy Assist System is built into the canopy and hidden from view. Every control knob on the control panel are illuminated with dedicated Viking Blue LED lighting. The removable smoker box may be taken out to make room for additional food items. Halogen lighting mounted on the inside of canopy provides ample lighting for nighttime grilling. Viking grills are available in 30″, 36″, 42″ and 54″ models. A 120V electric ignition system provides a positive, consistent, and continuous spark for easy ignition. §Hermetically sealed, numerical thermometer gives approximate temperatures for grilling, smoking and warming. Vintage gas grills are a unique blend of design and utility. Viking grills come equipped with an array of features that make it the perfect centerpiece for your outdoor kitchen. The U-shape burners deliver 27,500 BTUs of heat onto ceramic briquettes which distribute heat evenly to the cooking surface. The Vintage™ rotisserie system features 15,000 BTU or 18,000 BTU flush mounted infrared burners, a heavy-duty stainless steel spit & tine assembly and electric motor for hands-free operation. Viking grills are equipped with 9-volt Precision-Fire electronic ignition. The warming racks are adjustable and removable. Natural Gas ready – Liquid Propane conversion kit included. The double-walled, insulated canopy comes with an integrated hood thermometer. Choosing the right grill and complementary accessories for your outdoor kitchen is easier when you can see and touch the difference. To get started with your outdoor kitchen project, visit your local dealer.